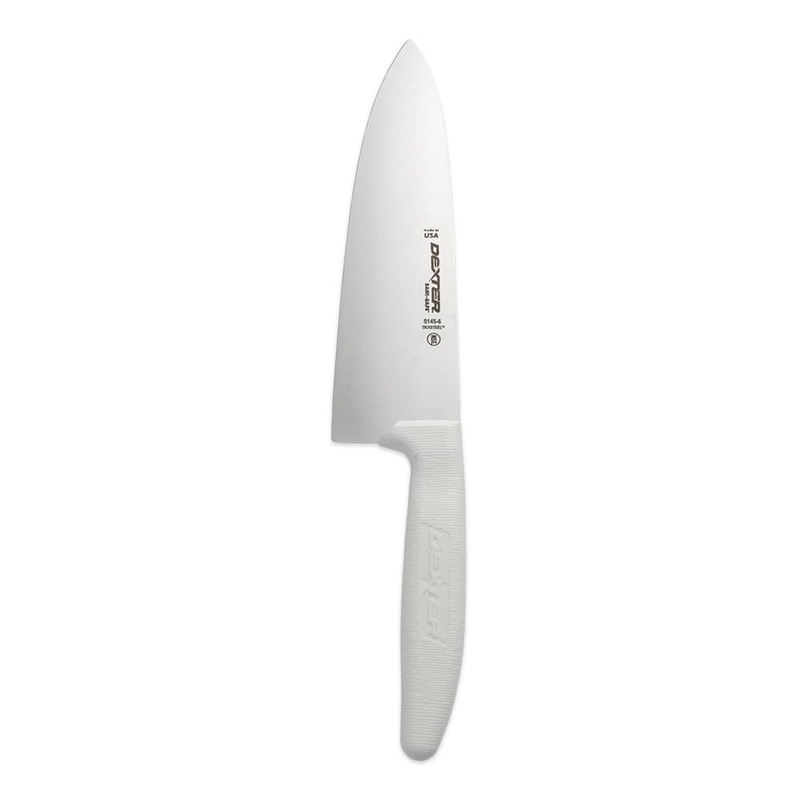 Perfect for cutting, slicing, chopping, and mincing, the Dexter Russell S145-6PCP Sani-Safe® chef's knife has a durable high carbon steel blade. Made of polypropylene, the handle is simple to clean and safe in high and low temperatures. To create a non-slip grip, the handle is textured. A seal between the blade and handle prevents food from getting trapped by eliminating crevices. 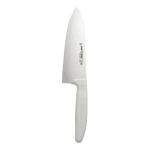 Read our knives buyers' guide to learn more about kitchen knives.